The developers of these technologies, although experts in their own fields, are not necessarily familiar with the circumstances and often challenging conditions of the steel industry. The characteristics of the global steel industry are well understood at the Materials Processing Institute, where technologies have been successfully developed and deployed around the World. The Institute is perfectly placed to act as a conduit between the technology providers and the steel industry to determine which of the emerging Industry 4.0 technologies are a best fit and how they should be deployed to create the greatest value and impact. 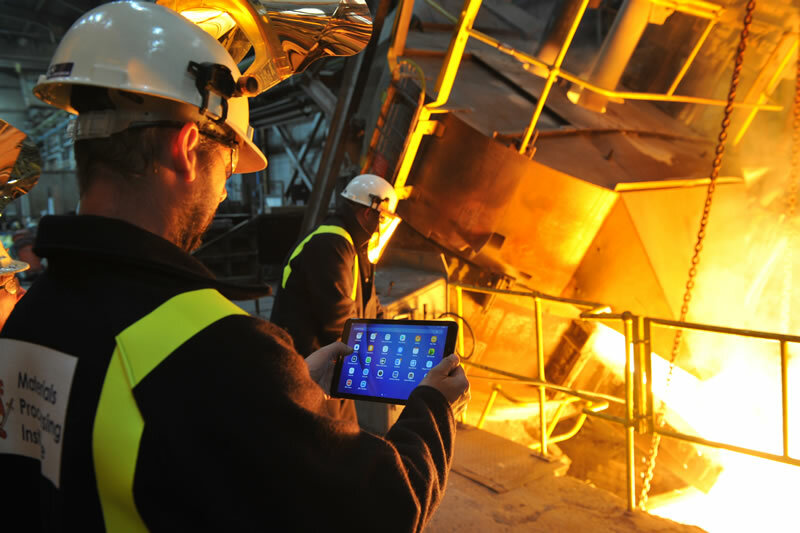 The Institute is currently in the process of applying these technologies to its own Normanton Steel plant to create the ‘Future Steel Factory’ a digital demonstrator of Industry 4.0 technologies for the Steel and Process Industries. By doing so, the Institute will explore the opportunities and challenges involved with applying Industry 4.0. This knowledge will then be applied to develop a safe and reliable method for the integration of the new technologies, without process disruption.